Jeseniky Mountains, the second largest mountain range in the Czech Republic is found in the Moravian-Silesian Region of the country. Despite its popularity amongst holidaying Czechs, it’s still relatively unvisited by foreign tourists, making it perfect for a more off-the-beaten-track escape. After a busy TBEX Europe 2018 in Ostrava, I, along with several other travel bloggers were invited by the Moravian-Silesian Tourism and Czech Tourism to discover the raw beauty of Jeseniky Mountains. We spent three days exploring the area and had a fantastic time. My favourite parts have to be the adrenaline-filled activities we tried out. In fact, I had three new firsts: downhill mountain biking, downhill drift triking and downhill kick-scootering. Under the watchful eye of our guide we tried two of these activities at Bikepark Kopřivná, part of the Kopřivná Ski Resort. 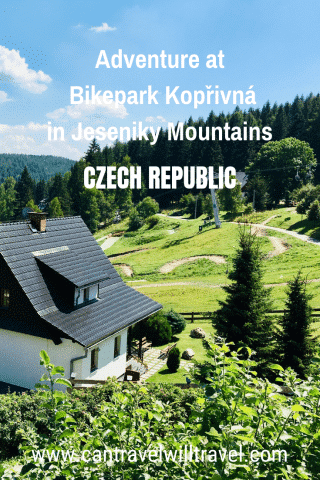 Nestled amongst beautiful green forests and surrounded by clean, fresh air in the Jeseniky Mountains is Bikepark Kopřivná in the Kopřivná Ski Resort. During the winter it’s a ski resort and by summer a bikepark, it’s an adrenaline junkies paradise. There’s also a funpark which has activities for children and team building such as tubing, trampolines, a climbing wall, small-scale paintballing and a volleyball court. The bikepark has excellent downhill mountain bike trails, plus a drift triking route. To reach the start of the trails a ski-lift ferries visitors high up to through the trees. Staff are always on hand at the bottom pop the equipment on the ski-lift for you so all you have to do is sit back and enjoy the views. Prices are reasonable at 390 CZK (£13.40 GBP) for a full day pass and 250 CZK (£8.60 GBP) for a half-day. Mountain bike rental is 700 CZK (£24.10 GBP) for the full day and 400 CZK (£13.75 GBP) for half a day. There are four downhill biking trails through the forest at Kopřivná, totalling 12 km and of differing levels of difficulty. The easiest is the Fun Trail, whilst the technical Gravity Line and Downhill trails are much more challenging, full of roots, stones, bridges and other obstacles. There is also an area where you can practice jumping on your bikes, landing safely on a large airbag. Having never tried downhill mountain biking before I opted for the Fun Trail, which turned out to be much harder than I expected. My heart leapt into my mouth more than a couple of times as I nearly went flying as I hit a random rock or unexpected drop. I had to stop several times to walk the bike over the tricky bits. I even managed to fall off at one point from a stationary position, which was very embarrassing. Some of the other bloggers were feeling braver than me and had several goes on harder trails, once was enough for me though – especially after my tumble. I’d love to try it again another time though, but wearing knee and elbow protectors (which you can also rent at Bikepark Kopřivná). Another fun and adrenaline filled activity at Bikepark Kopřivná is downhill drift triking. It also seemed to need less skill than the downhill mountain biking and was much less scary. At least it was for accident prone me. The downhill drift trike or ‘bugina’ track runs down just outside the edge of the forested mountain bike trails. A bugina a kind of low tricycle with no pedals that is propelled by gravity alone, so it just kind of drifts downhill. All you have to do is stay gently on the brakes and try to steer the contraction so it stays on the track and doesn’t drift off course. Of course, I couldn’t manage it without a little misadventure. My seat kept coming unattached and meaning my bum was dragging along on the ground as the trike sped downhill. I think Dave from Dave on Arrival and I must have had the same drift trike as me, as you can see here in his video of our adventures at Bikepark Kopřivná. I found this activity less terrifying than the mountain biking and so much fun I even had a second go. In fact, if we hadn’t been running out of time I’d have had a third attempt at it. 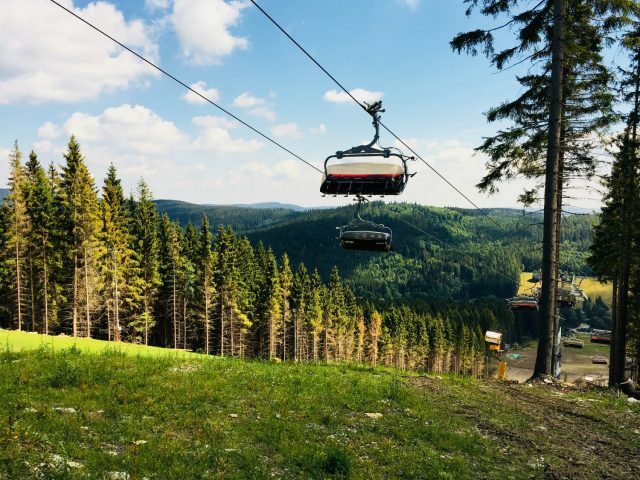 If you’re going to spend some time getting your adrenaline rush at Bikepark Kopřivná it makes sense to spend at least one night at Kopřivná Ski Resort. The mountain Kopřivná Ski Resort has a range of accommodations to suit different tastes and budgets. 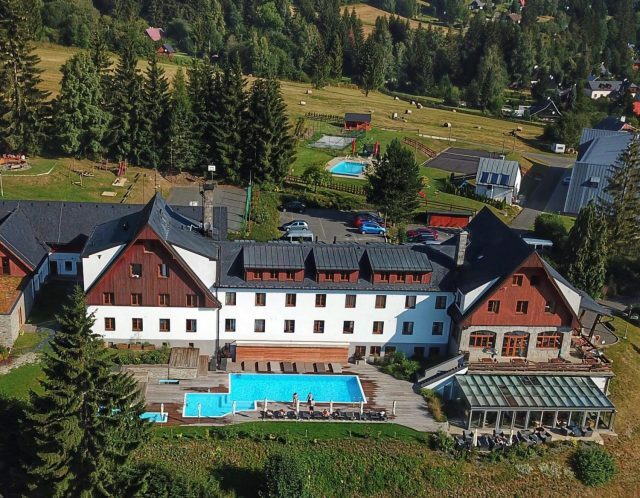 The Kopřivná Hotel has a choice of suites or rooms and the Maja Lodge is great for larger groups or those looking for something in the lower price range. Then at the foot of the ski slope is a more luxury style cottage with its own private jacuzzi and sauna. We spent our one night at Kopřivná Ski Resort in the Kopřivná Hotel. I had a simple and small, but comfortable room on the second floor that offered views out over the pool, bikepark and funpark. The shower room and toilet was also small but adequate and in the hallway, separated from the bedroom was a useful work desk and storage area for clothes and bags. My favourite part of the hotel was the heated outside pool on the main terrace. It was surrounded by sunbeds and even had a mini water slide. 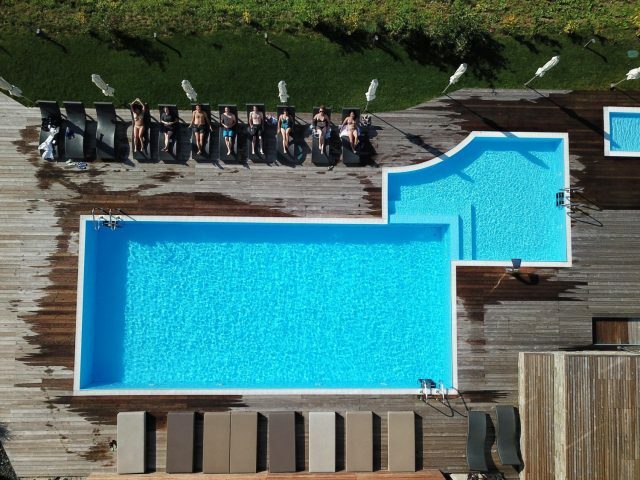 On our only morning there, several of us enjoyed a refreshing early morning dip before breakfast and relaxed in the sun before breakfast. For those who like to be pampered the resort also has a wellness centre with various facilities available at an extra cost. There are saunas and treatments, including massages and also a cosy lounge with a fireplace. The hotel facilities are further complemented by the stylish Restaurant-bar Kopřivná. It has huge glass windows and balcony overlooking the ski slope, bike trails and green valley. We enjoyed dinner, breakfast and lunch there and I was impressed with all of them. If you’re a meat eater don’t miss out on the rump steak, cooked to perfection, and the delicious chocolate souffle with blueberries for dessert! The buffet style breakfast had a huge array of choice: cereal, fruit, yoghurt, cheese and meat, eggs, bread, cakes and pastries. Lunch was similar to dinner, but on a smaller scale and with the option of a set menu based around traditional Czech dishes. Other than Kopřivná Ski Resort there’s plenty of other accommodation possibilities in Jeseniky Mountains. For example, on our last night, we stayed at Hotel Praděd after hiking to Praded peak. This is a truly unique place to stay as the hotel is in an old television transmitter and is also the highest building in the whole of the Czech Republic. 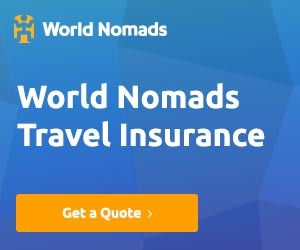 Take a look on Booking[. ]com to find plenty of other places to stay in Jeseniky Mountains. Downhill Kick Scootering – For yet another huge adrenaline rush, why not give downhill kick scootering ago. You can do this from at Kouty Ski Resort, from where you take a ski-lift and mini-bus up to Dlouhé Stráně Reservoir. Once there you collect a scooter and helmet, then career back downhill for 17 km until you get back to Kouty Ski Resort. It was an exhilarating experience and the views were just breathtaking. Prices and opening hours can be found on the Helia Sport Shop website. Hiking – There are many hiking opportunities in Jeseniky Mountains, as detailed on the Jeseniky Mountains website. We hiked about 14 km from the spa village Karlova Studanka through the Bila Opava Valley to Mount Praded, the highest peak in the Moravian–Silesian region. The hiking trail followed the Bila Opava River and up and through the forest and over bridges to the summit of Praded. This hike is best ended with a stay at Hotel Praded, after all, how many people can say they’ve slept in a TV transmitter. This video by Nate from Nate Meets World showcases the highlights of our hike. Boating – Slezská Harta, nicknamed the Jeseniky Sea is one of the most picturesque dams in the Czech Republic. Surrounded by woodland it’s a scenic beauty spot popular with locals. When we were there it was buzzing with families and friends enjoying the sunshine and water. It would be perfect for a leisurely picnic. A favourite activity amongst visitors is boating in one form or another. You can rent a rowboat, paddle boat or pedalo or kayak, the prices are all on the Slezská Harta website. We had lots of fun taking paddle boats for an hour or so, some of the others also jumped in for a swim. My three days in Jeseniky Mountains was one of my favourite parts of my time in the Czech Republic. 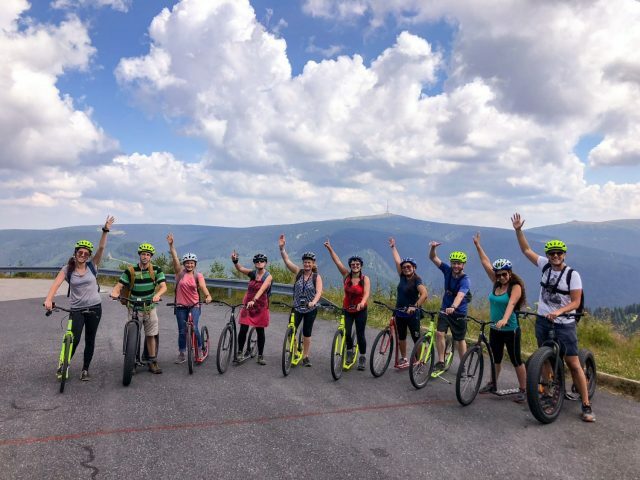 If you’re an outdoor adventure activity fan, or simply like being outdoors enjoying nature then definitely think about adding Jeseniky Mountains to your itinerary. Have you been to Czech Republic and done any adventure activities in Jeseniky Mountains? What was your favourite activity? 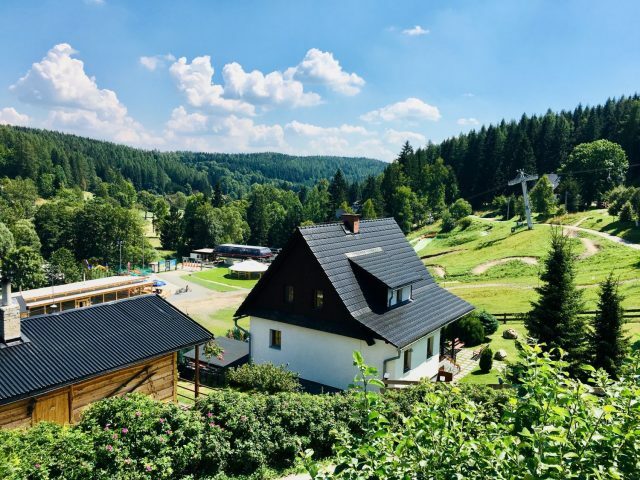 Product Review Disclosure: All accommodation and activities mentioned were complimentary as part of a post-TBEX Ostrava 2018 FAM trip in collaboration with the Moravian-Silesian Tourism and Czech Tourism. This did not influence my post in any way and as always I’ve provided balanced and honest reviews. Read more in our full Product Review Disclosure. It definitely is stunning, can’t wait to go back! Had no idea mountains existed in Czech Republic! Drift Triking looks to be about my speed so definitely an adventure I would embark on. Thank you for the informative post! Yes it’s much less scary than the biking. The Czech Republic really has so much to offer. The Jeseniky Mountains look so majestic. Now downhill mountain biking is my kind of mountain biking! But how to choose between that and downhill drift triking or downhill kick scootering! Your accommodation looks sensational and what a pool. I too would have loved to have spent time around it. It was fantastic and so unexpected. 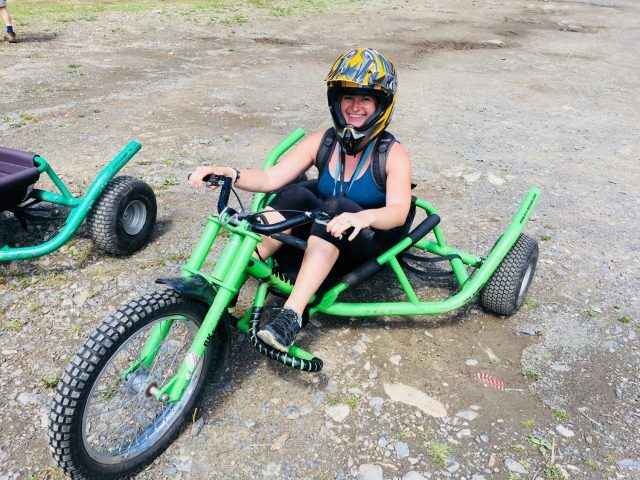 If you already love downhill mountain biking, the drift triking may not be adventurous enough for you so I’d have a go at the downhill scootering…such an adrenaline rush and very scary (for me at least)! The Jeseniky Mountains look gorgeous, what a great spot for a resort. I haven’t heard of Drift Triking, looks like a lot of fun. Yes, it was stunning, I wish we’d had longer there. I really enjoyed the drift triking – I felt much safer than on the bikes (not so far to fall)! I have heard that some ski resorts turn into bike resorts in the summer, but I didn’t know any. 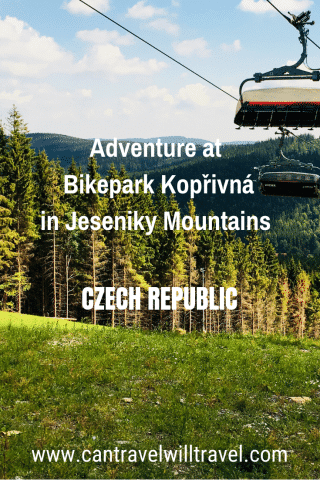 The Bikepark Kopřivná sounds so fun – I would definitely take the easy fun route rather than anything harder, but my son-in-law would take the harder routes for sure! I’d love to try the drifting trikes! fun routes and the drift triking – lots of fun! Aside from your seat coming unattached, the dirt triking sounds like a blast! I could easily do that and then spend the rest of the day by the pool. I had no idea Czech Republic offered these types of things to do, so now we have even more reason to return to this incredible country! That was a bit annoying, but in hindsight quite funny – haha! to Prague. I definitely want to go back to explore some more. Looks like an interesting place. That drift-triking thing – can you stop and start en route, or is it just one long downhill til the end? You can stop by sticking your feet out or steering off to the side on rougher ground  It was an interesting place – lots to do! I’d definitely be too chicken to try it on a concrete road too – it would be terrifying. The biking was really scary -I’d need much more practice before I was confident at it. The drift triking was definitely the easier of the two! This looks like a lot of fun! I don’t normally ride tricycles, but it looks like they could be quite enjoyable in these mountains! There are so many hidden gems in countries, thanks for pointing this one in the Czech Republic out! It really was – I’d never ridden a tricycle before either but it was great. It was a little scary, the hiking in that region is amazing too though, I could happily have spent several days hiking. Great article, thanks. Can’t wait to try downhill drift triking. You’ll absolutely love it – so muuch fun! I really did and it was great trying some things I hadn’t done before  You’d love the Czech Republic.